While Apple has seemingly figured out the smartwatch game, Android users are still searching for the best option. 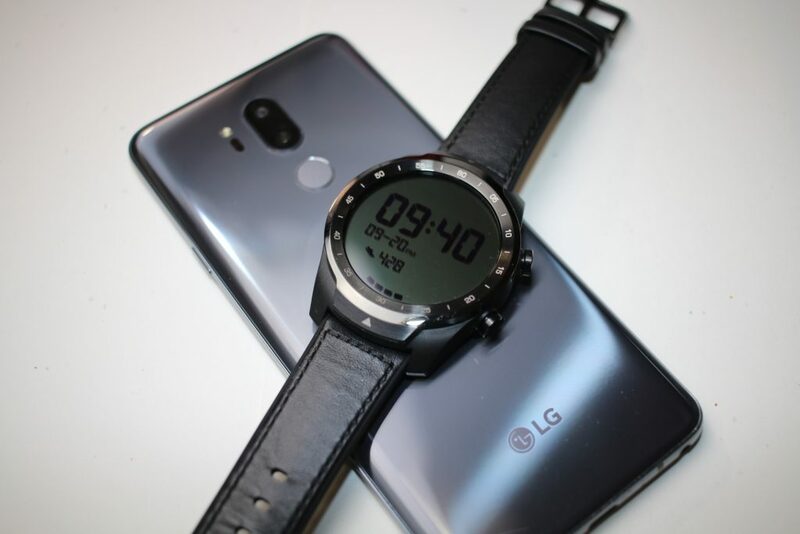 For awhile, we had the Huawei Watch which was the de-facto choice, but is now a few years old. Since then, we have seen plenty of options walk through the door, with not many really sticking. TicWatch has released a new offering with the TicWatch Pro that could change everything. At least temporarily. Upon taking the TicWatch Pro out of the box I was both surprised and intrigued at what was going on here. 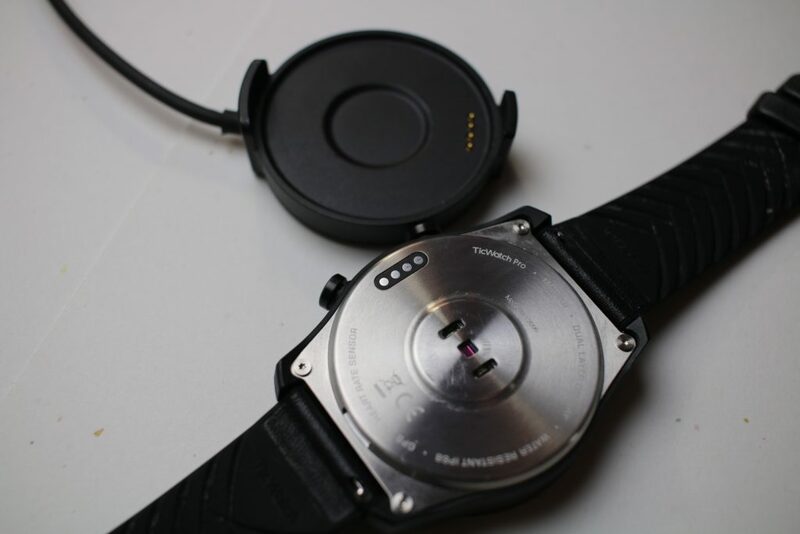 The watch itself is made from a solid aluminum, that is both large and rather hefty at first glace. Given that I have larger wrists than the average person, the size of the watch was a pleasant surprise. However, you may want to look into the other TicWatch offerings if you are looking for something smaller. What really excited me after putting the watch on was the band itself. On the outside, there is a leather-like material which gives a professional look. However, on the side that rests on your skin, we have silicone. This makes it possible for your wrist to “breathe” while providing a comfortable feeling on the wrist. If this isn’t your cup o’ tea, then you can easily swap this out for a different band. Moving onto the main attraction of the TicWatch Pro, we have an absolutely gorgeous OLED display. This is bright enough to view in just about every situation, but there’s a hidden feature that sets this smartwatch apart from the rest. On top of the standard OLED panel, there is also an FSTN (Film compensated Super Twisted Nematic) LCD panel. Essentially, there’s a layered display on top of the OLED display and this is for good reason. We’ll touch on this secondary display a bit later, but there’s a little bit more to offer on the hardware side. 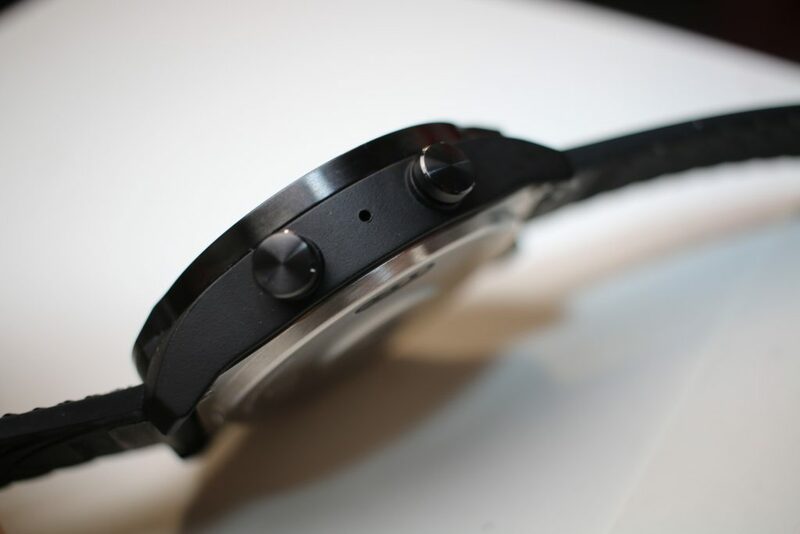 The TicWatch Pro offers two buttons on the right side of the frame, which have a perform a few different actions. Having the ability to configure the lower button to an app of your choice is a nice touch. In order to change this, you’ll need to head into the TicWatch by Mobvoi app on your TicWatch Pro. When I received the TicWatch Pro, the smartwatch was already running the latest version of Wear OS. There were a few minor updates that have been pushed since release, but only including minor bug fixes and tweaks. It’s extremely evident that Wear OS (formerly Android Wear) has taken a back seat to everything else that Google is working on. This is really sad and upsetting, but combined with the almost 3-year-old Wear 2100 SoC, there’s not much to really get excited about. Wear OS in general is just serviceable, but combined with the chipset, you’re likely to experience the occasional lag. Sometimes is worse than others, but all-in-all, you’ll likely be just fine for the time being. In addition to Google-integrated features, the TicWatch Pro also includes some extra apps from Mobvoi. These are primarily focused on health, with the Fitness app which monitors your heart rate. The Health app keeps track of your steps, distance, and more all from a clean-looking experience. The most intriguing aspect of the TicWatch Pro isn’t the great design, or the fact that it runs Wear OS. Instead, battery life has been absolutely superb as I was able to get 2.5 days of usage with the Pro running its “standard” mode. The secondary display that we mentioned earlier is being touted to provide between 5 to 30 days of battery life. Since the LCD display consumes less power and only shows you the essentials, this is the perfect way to keep your watch going whenever you need to save some juice. Simply long press on the lower button and tap “Essential Mode”, and the secondary display will activate. It’s highly unlikely that you will ever actually “only” use the Essential Mode, but it’s still something that more smartwatches should feature in the future. 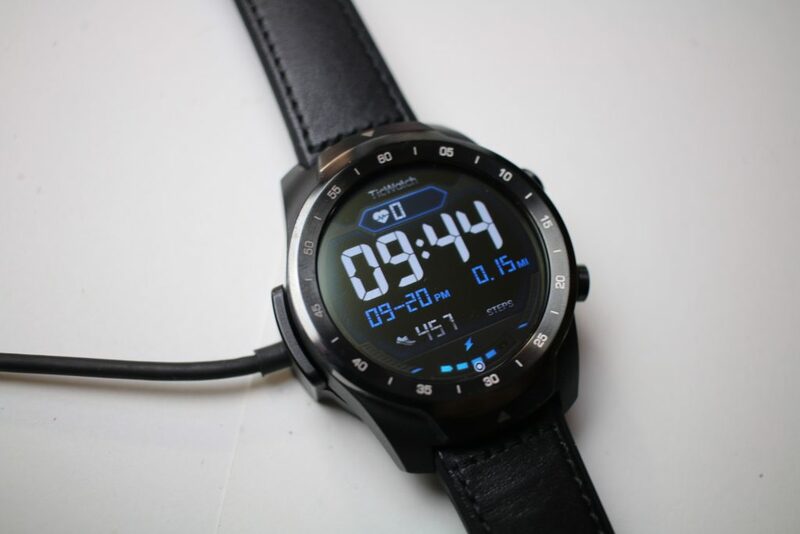 The TicWatch Pro is a smartwatch that could have been much better than what is already is. 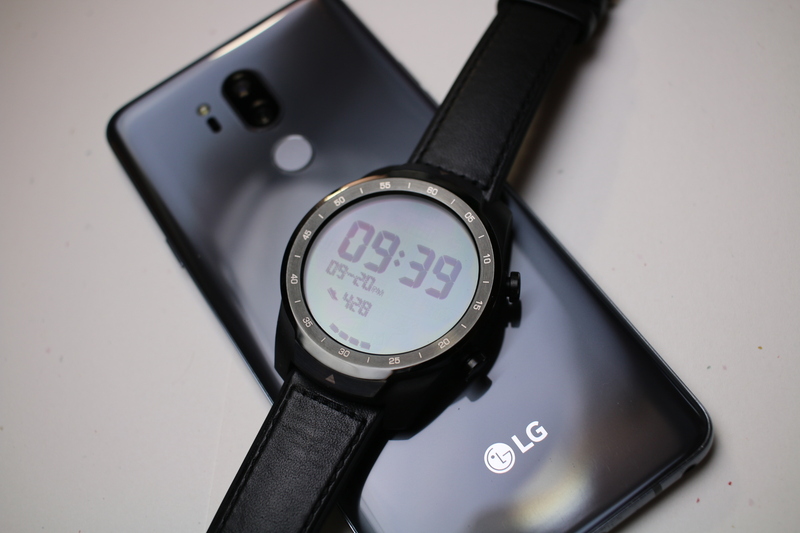 If it weren’t for Qualcomm and Google dragging its feet in the wearable space, then the Pro would absolutely amazing at just $249. That being said, earlier in September, Qualcomm announced the Snapdragon Wear 3100 chipset. This promises to offer better battery life and better overall performance. But that’s not saying much when being compared to a 2-year-old processor. Nonetheless, if you don’t feel like waiting for new Wear 3100 smartwatches to launch, then the TicWatch Pro is our pick for a Wear OS smartwatch. The TicWatch Pro is one of the most impressive smartwatches released by a company other than Samsung. Currently, it has turned into our favorite option due to incredible battery life and quick updates.